Are you looking for an approved installer of Millboard composite decking? Landscapia are based in Halesowen and are the approved installer of Millboard composite decking for Birmingham and the wider West Midlands area. All of our composite decking team have received specialist training from Millboard and are certified Millboard approved installers. 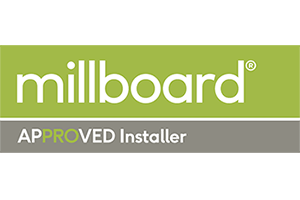 The Millboard Approved Installer programme provides customers with reassurance that landscaping projects are delivered by highly-trained, competent installers who have been awarded with approved installer certification status. 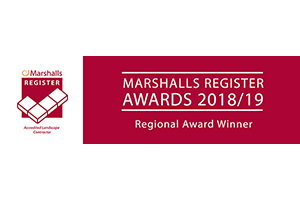 Our approved installers have a wealth of experience with Millboard composite decking products and are fully experienced with all aspects of the installation process. We believe Millboard is simply the best composite decking product on the market. It looks totally natural and realistic, but is maintenance free, highly durable, weather resistant and safe. The Millboard product has taken years to develop and today’s product is a decking material that graces the gardens of stately homes, walkways of zoos, decks of luxurious coastal hotels and stylish homes. Millboard is almost indistinguishable from regular decking material but unlike natural wood or oak addresses the age old problems of rot, durability and regular maintenance. Millboard composite decking provides high slip-resistance even when wet. Millboard is also resistant to sun, heat, rain and cold, making it a durable all-year-round material perfect for outdoor environments.